I just moved my Palm TX, T5, and LifeDrive into storage. They had been local residents on my desk since I acquired them and I have enjoyed playing and working with them for many years. Today was the day they they moved into my storage crate with all of my other decommissioned smartphones and PDAs. My Palm Pre, Apple iPhone 2G, BlackBerry Storm2, HTC Droid Eris, and Palm Foleo just got more room to spread out. 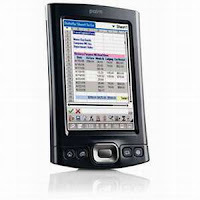 If you want to take a walk down memory lane, check out the PDA Museum where you can find write ups on many of the Palm/pa1mOne and Sony Clie Palm OS devices. My older devices usually get popped into a draw when a new one comes along. However, the new ones were usually also running Palm OS, so popping them in a draw wasn't so hard, besides I could still get them out for a play if I wanted to. 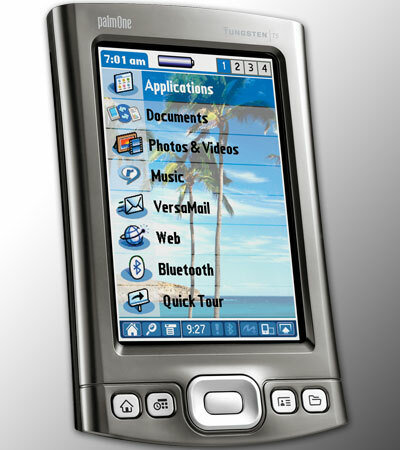 However, now that I am using iPhones, I am replacing the iPhones and selling the older ones, but my end of line Palm TX is still in my handbag. 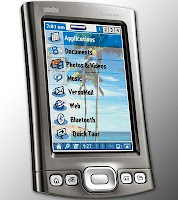 In fact, I still carry my Treo 650 around too. I don't use them much any more though. Your post has given mr something to think about though. But, instead of putting them away in a draw, I might pop the TX on my desk. It will lighten my handbag. 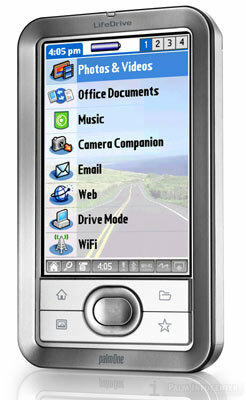 In the mean-time, I am still waiting for the WebOS devices to be released in Australia. Can't see it happening now with the current models, but hopefully when HP release some new ones. Now on to the big question... Palm Foleo...do you really have one? Where do I get one Alan? Hi Jodi, I really do have one. 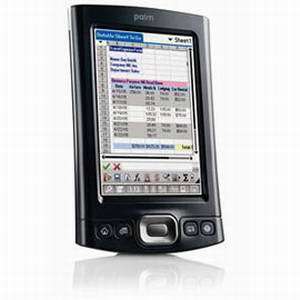 And yes, I really do like the concepts that Palm put into the hardware and software. The hardware is a fully finished product and well though out. The software on the other hand, doesn't feel finished even though the version is 1.0. You can see where Palm wanted to go with the Foleo software, but it wasn't ready for prime time. Ed Colligan and John Rubinstein were right to have killed it. Hopefully, HP will do a Foleo II running on their netbook hardware with webOS as the OS. It could totally work. As for where I got it, well that is a bit of a trade secret. Let's just say that it's former owner decided to give it to me once they found out that I was "that" Alan Grassia - the wingnut ran the Foleo Fanatics blog. I've had it for about a year now and I've only now said I have one because the original NDA agreement that the beta testers are still bound by is expiring next month if I have my math correct. Here is a little treat for you. As for where I got it, well that is a bit of a trade secret. Let's just say that it's former owner decided to give it to me once they found out that I was "that" Alan Grassia - the wingnut who ran the Foleo Fanatics blog. My Palm T|X "died" a few weeks ago, and nothing I could do would bring it back. I stuck in a drawer. A few days ago something prompted me to pull it out again - it worked! However - I'm saving up and will get an iPod Touch as soon as the new version comes out in the Fall. PLEASE can you tell me how to transfer the various "to do" lists (I have several) and all the "memos" to the iPod (I have hundreds!)? I've not been able to find info on this anywhere. The calendar and address book have transferred neatly to my MacBook, so those aren't an issue. You just "decommissioned" your T5, I just started using one! I'm new to PDAs, went crazy on the Handspring Prism, and many, many modules a couple of years ago. I stopped using it due to scratchy headphone noise on the Phone module. A few months ago I bought a T5 pre-release unit that was marked as a TE, and is running a LifeDrive OS. I am enchanted by it, although I'm still trying to get the web via the Palm SD card I received recently, and after that I'll work on getting the GPS cradle that came with it to work too. Sounds like you have a fun little project to work on! The LifeDrive and the Tungsten T5 were being developed at the same time. The only difference that I am aware of between the two in terms of Palm OS is that the LifeDrive has a 4GB micro hard drive and a special FAT 32 driver. The T5 should also be able to read/write to a standard 4GB SD card.